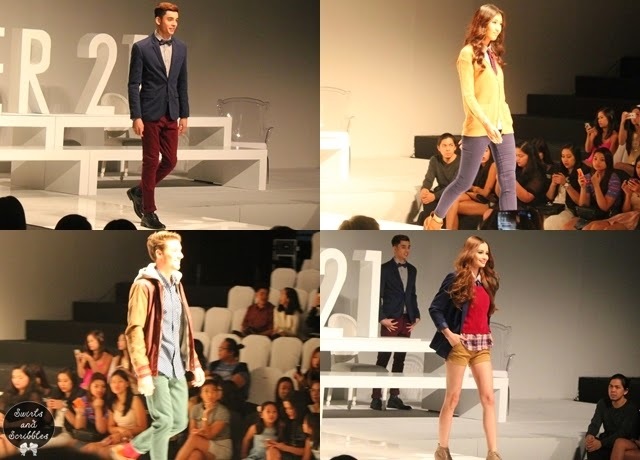 Last October, we had the privilege to watch the collection of Forever 21 during Philippine Fashion Week. I hurriedly went to SMX convention straight from work. I am gladly arrived on time. We stayed on the line for a couple of minutes. Then, they let us in. The show started around 7pm. The collection was classified in different categories such as brit street, modern monochrome, new bohemian, and university street. The Forever 21 kiddos. How adorable they are.. This is Brit Street. More on plaid prints and leather jackets. The two photos on the top were from new bohemian collection while the photos on the bottom were from university chic. The new bohemian is a collection more on earth tone colors and a new way to interpret the love for boho chic. 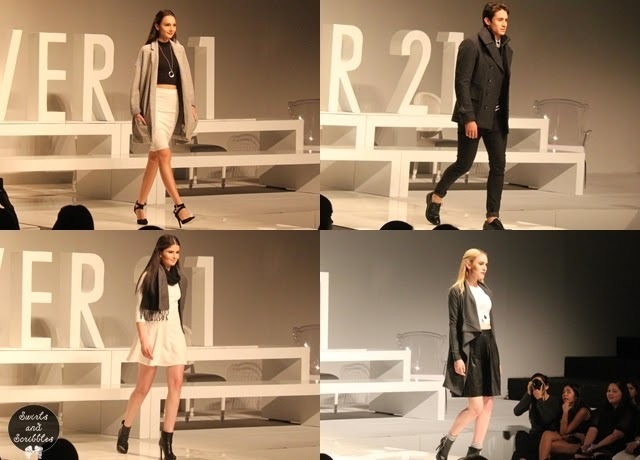 On the other hand, university chic is a collection for trendy students in college. It is fresh and young. Modern Monochrome. This collection is for people in the professional world. This is my favorite of all. Simple yet stylish. You know what they say, beauty is simplicity. My peg for this coming holidays! I love how they stay in the middle before walking in the runway. How about you? Which of the collection of forever 21 do you like most? Share it with us! CLICK HERE for my 1st ever PhFW experience!